Adult entertainer Stormy Daniels’ lawsuit against President Donald Trump and his former personal lawyer, disgraced felon Michael Cohen, over a much disputed non-disclosure agreement, may be thrown out if attorneys for Trump and Cohen get their way. Los Angeles federal court Judge S James Ortero heard arguments from all sides over whether Daniels’ case should be allowed to proceed, to declare invalid the now infamous NDA written to stop Daniels from talking about her alleged 2006 affair with Trump. 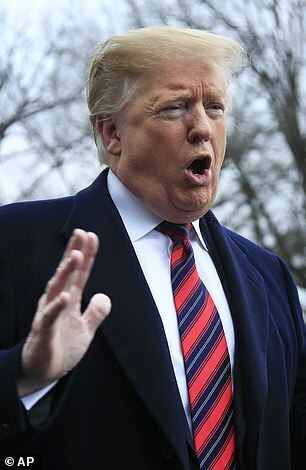 Trump’s attorney, Chris Harder, and Cohen’s attorney, Brent Blakely argued that because they have said they will give Daniels, whose legal name is Stephanie Clifford, what she has asked for by tearing up the NDA, there is now no contract to argue over, and so the case should be dismissed. Blakely added Cohen would not seek repayment of $130,000 in hush money given to Daniels to keep quiet about the alleged affair she had with Trump in 2006 while he was married to Melania Trump, even though Daniels has already spoken out and written a book about the supposed encounter. But Avenatti disagreed, saying that he needs an agreement signed by Trump himself stating that he will not sue Daniels for breaking the NDA, that he wants Trump and Cohen to pay for the costs of the lawsuit, and admitting he wanted the case to proceed to force Trump to answer questions under oath. Harder specifically said that Daniels had already ‘got what she wanted’, and promised on behalf of Trump to tear up the NDA. Blakely, agreed, adding that Cohen would not ask Daniels to repay $130,000 in hush money she was given to keep quiet about her alleged affair with Trump, before he was president. 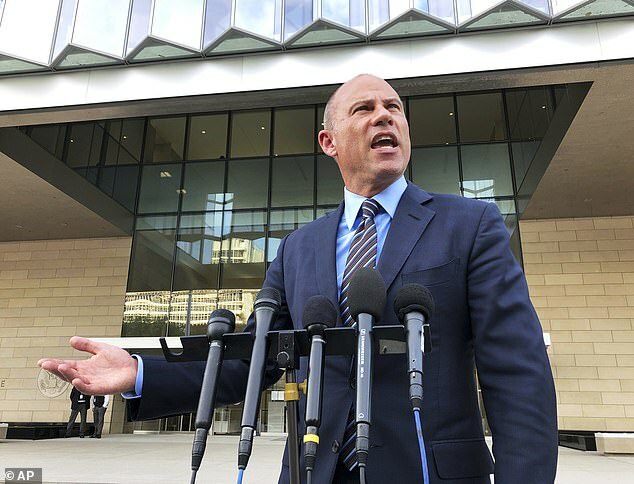 Speaking outside the courthouse after the hearing, Avenatti said the about-face by the president was a win for Daniels . Avenatti added: ‘For months Michael Cohen and Donald Tump lied to the American people about whether there was an agreement with my client. ‘Cohen, on behalf of Trump, repeatedly threatened my client with millions and millions of dollars in damages if she violated the agreement. Avenatti said although Trump’s attorneys offered to release Daniels from being gagged by the NDA, he wouldn’t trust any agreement until Trump himself signed it. Avenatti revealed he is also pursuing the case to force Trump to answer questions under oath in a deposition. To the dismay of Daniels’ cash-strapped lawyer, lawyers for both Cohen and Trump said they would refuse to pay her legal costs at the hearing on Tuesday. 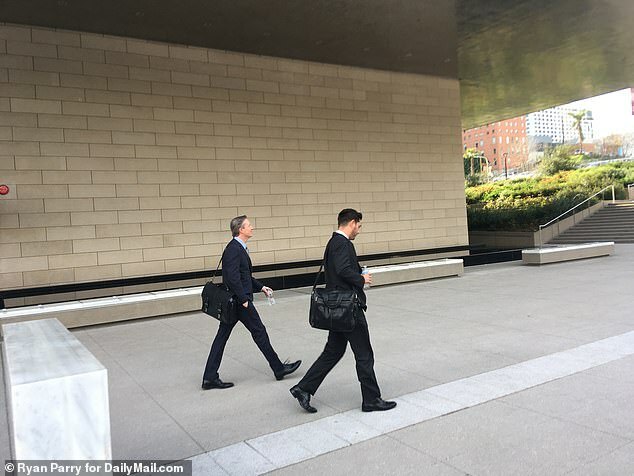 Avenatti has been ordered to pay a former partner in his old law firm millions in unpaid wages, and is currently amid an expensive divorce, with a judge awarding his estranged wife hundreds of thousands of dollars in child and spousal support. The embattled attorney is also due in court tomorrow to face allegations of domestic violence against his then-girlfriend, actress Mareli Minuitti. Minuitti claims Avenatti dragged her across the floor and out of his apartment during a fight in November, and filed a restraining order against him. Avenatti has denied any violence. 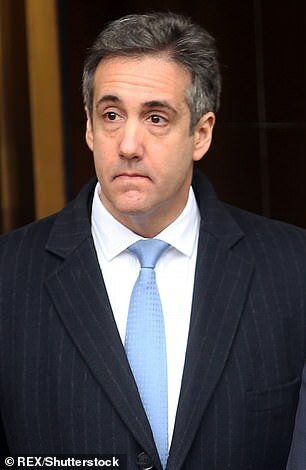 Cohen, Trump’s longtime personal attorney and fixer, pleaded guilty in August to eight counts of tax and bank fraud and campaign finance violations. The campaign finance violations were directly related to the $130,000 payment made to Daniels ahead of the 2016 election. Trump’s alleged 2006 affair with Daniels and the hush money were first exposed by the Wall Street Journal. In March of 2018, Daniels sued Trump and Essential Consultants, Cohen’s shell company, claiming the agreement to be void because Trump never signed it, and Cohen had said Trump was never a party to any agreement related to the payment. Trump has continuously denied ever having an affair with Daniels.